Google Developers Group (GDG) is a volunteer geek community that organises GDG DevFest events in which new Google products and technologies are introduced. Its events also focus on the current trends and best practices. GDG Karachi organised “GDG DevFest Karachi 2016” on 18th and 19th November 2016 at Iqra University EDC Campus, Karachi. 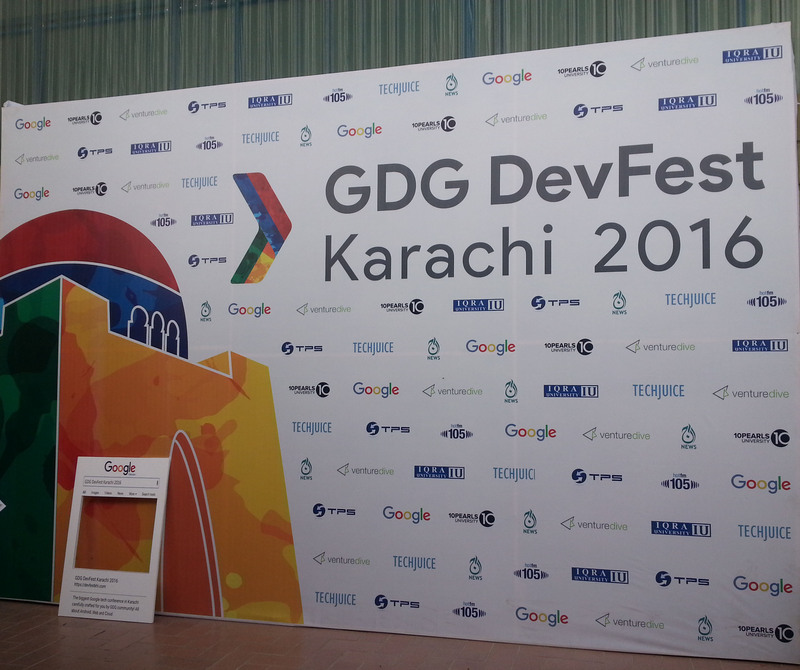 This is the fifth annual GDG DevFest event in Karachi. There were 400 registered participants for the for this 2 days event with 10 sessions. During the GDG DevFest event, #DevFestKHI remained one of the top trends on twitter for Karachi. Eric Bhatti welcomed the audience and shared the agenda. Sami Kizilbash discussed about turning ideas into realities, startups and challenges. Raheel Adnan shared his views on ‘Building for Billions’ session for Android. He shared some valuables tips for developing a successful Android Application. Murtaza Zaidi shared his views on ‘Building for Billions’ session for Web. He focused on making users love your application instead of selling them your application. Usman Zuberi and Shoaib Khan together expressed their thoughts on “Design Sprint”. They shed light on UI and UX and also shared their practices of making mock ups of mobile applications before the development. Asra Rizwan and Sophia Ajaz conducted a session on “Women Tech Makers”. They also announced that they are soon going to create a group for females to promote and encourage them in the field of tech. Asadullah Yousuf conducted a session on “Material Design” and shared its importance. Khalil Syed and Umme Rabab shared their views on the use of material design in the Mobile Applications. They also shared best practices for making it interactive and easier for the user to use mobile applications. CodeLabs, a coding competition was conducted by Raheel Adnan. Ahmed Ayub shared his expert opinion on leadership traits. He believes that there should be no hierarchy in between the top management and the lower management. Moreover, Good relations between these both can lead to excellent results. Imam Raza shared the new features of Android 7.0 N. He also shared the statistics of Android users and some Silicon Valley facts aswell. 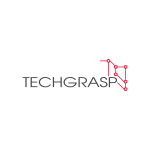 Mashhood Rastgar introduced Angular JS 2.0 and its features. Mohammed Siddiqui introduced Chrome DevTools and its features. Sami Kizilbash started with a question and answer session. Afterwards, he introduced firebase and its importance to the audience. Atif Azim shared his expert opinion on building World Class products. He believes that one should think broad and should learn from failures. Asad Memon introduced machine learning and its importance. He also gave a live demonstration. Eric Bhatti told about the Cloud Vision API and its importance. He also advised the audience to create a product by using this API. Mohammad Umair Khan advised the audience to contribute to the open source world. He believes that there is no one man show. Every one should collaborate and make good stuff. Token of appreciation was presented to the speakers. Sami Kizilbash gave his comments on the event. He believes that the level of engagement of the audience in this event was exceptional. He also announced that there is going to be a global network (Google Developers Expert) to be started soon. Interviews will be conducted for the interested people and the name of the selected people will be included on the Google website. Further, they will be invited talk and participate in the Google event around the World. Eric Bhatti told that the main idea of this event was to kill the dependencies while building products. He also said that machine learning and material designs were the new topics that were introduced. With an ending note, he thanked all the volunteers, organizers, speakers and the sponsors. All the participants received a gift from GDG.